Gem Steady is here to wish each, and every one of you a very happy (and stylish) Wednesday! At the Gem Steady headquarters, love is in the air, and cupid's arrow has made us fall madly in love with a few ultra-luxurious Valentine's Day surprises. Jewels and gems will always be a woman's best friend. Treat the ladies on your list to a beautiful one-of-a-kind couture piece by Gem Steady! It has been said that true love lasts a lifetime. This V-Day, choose a piece of jewelry that will stand the test of time. Gem Steady also offers incredibly awesome DIY classes. Looking for a romantic, and exciting way to spend your V-Day? Join us at our new studio for a jewelry-making extravaganza! Single, and tired of every single aspect of Valentine's Day? Don't sweat it! Our DIY classes make the perfect girl's night too! Obviously, Gem Steady has a plethora of fantastic gifts and activities for your V-Day fun. 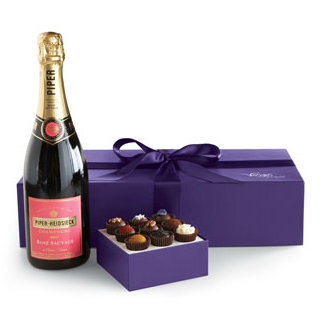 We also have a few sinfully indulgent treats that anyone on your love list will swoon over! Ahh, those classic, coveted red soles. Every woman deserves a pair of elegant Louboutin pumps. When in doubt, stick to a timeless wardrobe staple like these babies! A shabby-chic take on the classic red rose bouquet. This arrangement is so huge, it would make the entire Biltmore Estate smell of delicate blooms.